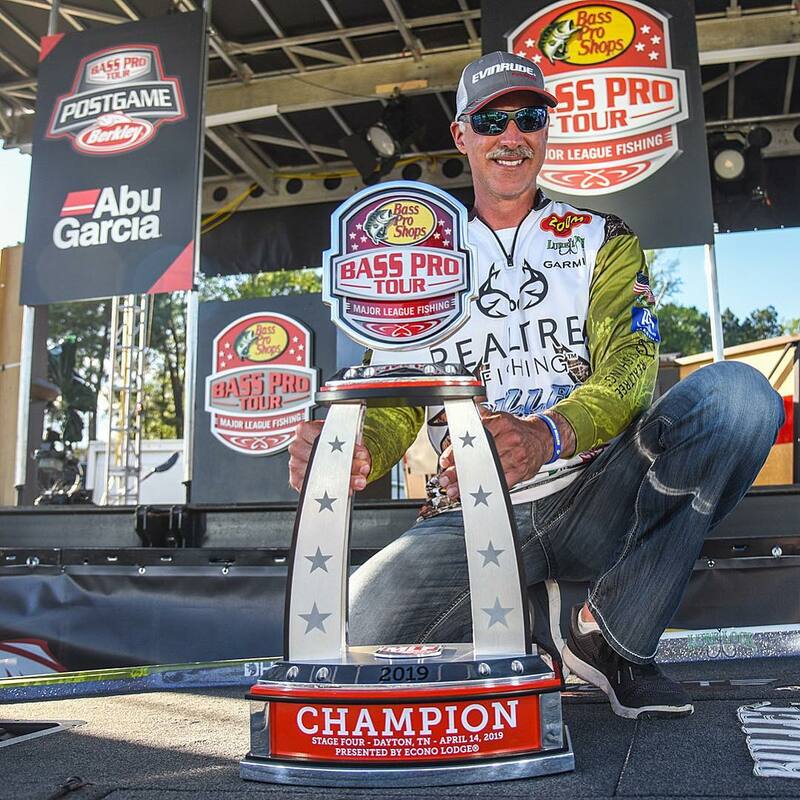 STURTEVANT, Wis., April 16, 2019 – Evinrude announced today that Team Evinrude professional angler Andy Morgan claimed the championship trophy of the Major League Fishing (MLF) Bass Pro Tour Econo Lodge Stage Four presented by Winn Grips. The event was held in Morgan’s hometown of Dayton, Tennessee on Lake Chickamauga, April 9 through 14. Having won many tournaments on this body of water which is located only a few miles from his home, Morgan weighed in 34 largemouth for a total bag of 80 pounds, 0 ounces. This soundly beat Jared Lintner’s second place finish by almost 20 pounds. One of the most successful anglers in the history of the FLW Tour, Morgan has three Angler of the Year titles (2013, 2014, 2016) and the most-ever FLW Top 10s (69). The winner of eight events, Morgan has accumulated winnings of over $2.3 million in his career.